Here is my last Star Wars post for a while (probably for this year)seeing as how this weekend marks the 30th anniversay! I am choosing to end the run with the final "Story" album from the trilogy. This one doesn't stand up to the other two. First off, the cover is just plain blah. It looks like they just took a picture from the film, slapped the logo on it and added the words "The Story of". It is obviously not as grandiose as the Empire album. Secondly, they had to cut a lot out of the story as there was just way too much visual stuff in Jedi that couldn't be put onto record without cheezy descriptions. And speaking of descriptions, my description of the narrator is boring! He sounds like this is the last gig he ever thought he would get. But, for completeists like myself, this is a must have. Let me know what you think as you listen to "The Story of Return of The Jedi". Enjoy! 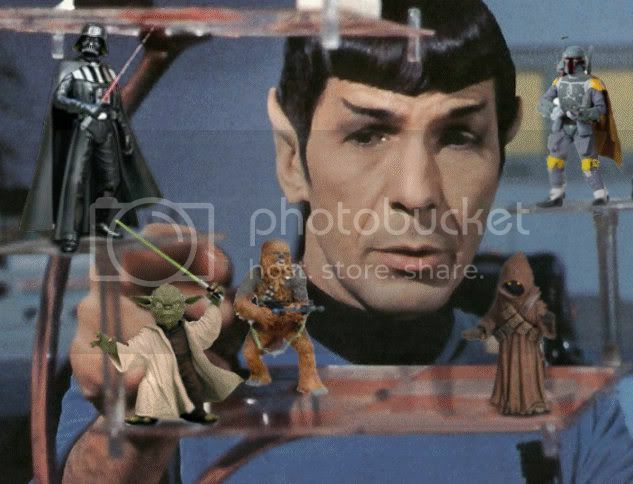 The Wonderful World of Star Wars in Full Color!!! 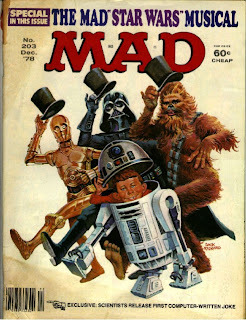 Here's another book and record set featuring C-3PO and R2D2. This time around, the droids are in a perilous adventure and use colors and shapes to get them out of it. It could happen! Here it is for you now. Enjoy! 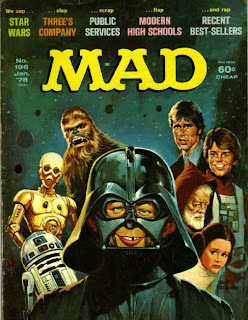 It's A Mad Mad Mad Mad Universe! More Lost Scenes From Star Wars . . . Here's part two of the scenes from "Abandoned Magic". This time we get to hear the two different Aunt Berus. In the mono mix of the film, it was voiced by a different actress than in the stereo mix. Strange, isn't it?! Here is one of my favorite items from my Star Wars collection. "The Story of Star Wars" album featuring a stripped down version of the film in audio format. This was pre-home video so this was the only way people had to relive the experience of Star Wars at home. I have had this record since 1977 and have easily listened to it thousands of times. (I have it memorized!) Interesting fact - This album went GOLD in 1977! Here it is for you. Unfortunately rapidshare is not letting me upload large files so I had to upload it in three files - Side 1, Side 2 and the artwork (which includes both the regular and picture disc versions as well as an 8-track and the gold record!). They did this with the other two films as well. What the future may bring . . . . . Enjoy! Need I say more? This is from a film called "Abandoned Magic". There are many versions of these deleted scenes put into a larger film. To be honest I don't know a lot about any of them but I do know that they are pretty darn cool! Here's a fun little read-along-book and record from the 80s! It's the Star Wars Adventures in ABC. It's Anthoney Daniels as C-3PO and a narrator going through the alphabet giving each letter a different reference from the original trilogy. Tacky and cheesy, yes, but a fun time as well. 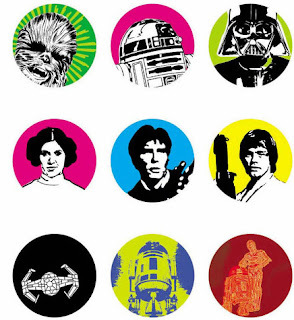 My favorite is "K is for Kessel Run". I wonder if any child who listened to this went to school and answered his teacher at school with "U is for Ugnauts"?! Enjoy! Meco Monardo was born in 1939 in Johnsonburg, Pennsylvania.Meco worked from 1965 to 1974 as a studio player, and also landed a number of arranging gigs, most notably on Tommy James' "Crystal Blue Persuasion." His breakthrough arrived in 1974 when he co-produced the Gloria Gaynor smash "Never Can Say Goodbye," followed by the Carol Douglas masterpiece "Doctor's Orders." Having aligned himself with Broadway arranger Harold Wheeler and producer Tony Bongiovi, Meco was now on his way to producing several early disco hits. 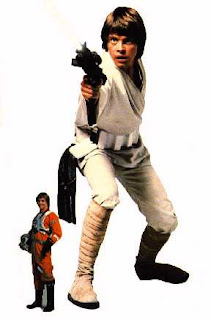 On May 25, 1977, Meco joined the people at a New York City theatre who were lined up to see the opening day screening of a new film starring Mark Hamill, Carrie Fisher and Harrison Ford. Like millions of other fans seeing George Lucas' "Star Wars" for the first time, Meco thought the film was a tour de force. He loved the music-although he didn't think the main title theme, as performed by John Williams and The London Symphony Orchestra, was commercial enough to be a Top 40 single. Before long, he had conceived of a 15-minute disco treatment of several themes in the movie, including the music played by the Cantina Band in the bar on Tatooine. He also planned to include R2-D2 sound effects. He called Jimmy Ienner at Millennium Records and Neil Bogart at Casablanca Records and explained his idea. Based on the tremendous success of "Star Wars," Bogart and Ienner agreed to Meco's idea without hearing any of the music. Meco hired (unheard of for a pop production) 75 musicians to play on the track, and played trombone and keyboard himself.The complete composition was released as part of an album, "Star Wars And Other Galactic Funk," and on a 12" single. The original main title theme by The London Symphony Orchestra was released by 20th Century Records and entered the Hot 100 on July 9, 1977, less than two months after the film opened. Monardo was wrong about it's commerciality; it raced up to number 10 on the charts. 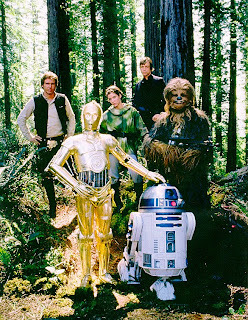 But Meco's version, "Star Wars Theme/Cantina Band," which debuted on the chart on August 6, 1977, raced past it to go to number one the week of October 1, 1977 where it stayed for two weeks. Here for you now is "Star Wars & Other Galactic Funk"! Enjoy! Countdown To Star Wars 30th!!! 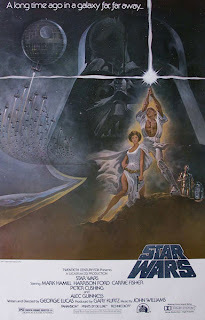 As we approach the 30th anniversary of the greatest movie of all time, a lot of other bloggers have begun their marathon of Star Wars related posts! Most notable are John Rozum and Neato Coolville! These guys have some excellent Star Wars items posted! You chould definitely check them out! 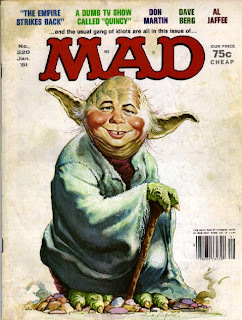 I will repost some of my Star Wars items from the past as well as post some new items as well. Stay tuned for all of the fun!!! 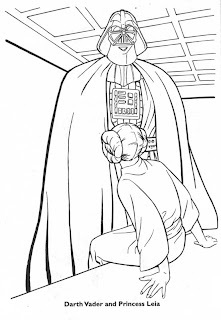 For now, enjoy this unintentional pornographic page from a Star Wars coloring book.